Prizm Books, who are publishing my novel, have lots of great stories and novels. 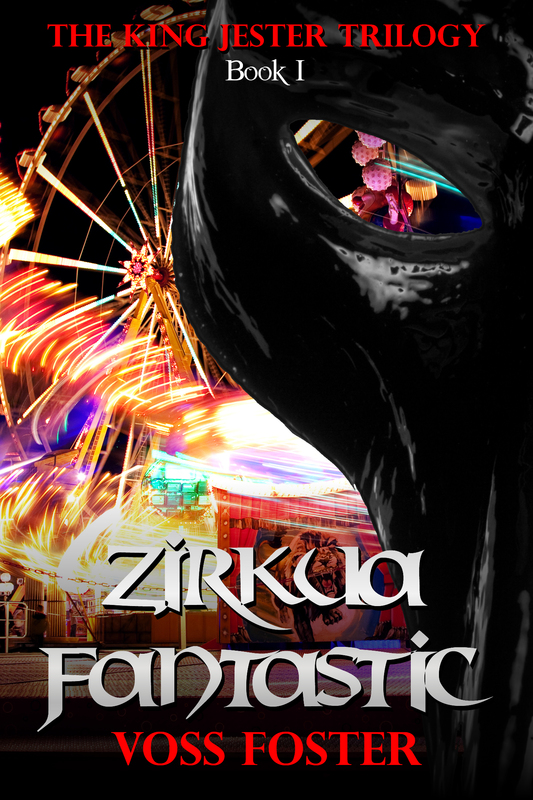 One of their authors is Voss Foster and here is his reflection on his just published novel Zirkura Fantastic. When someone might die, or do the impossible, people get interested. That’s the kind of thing that circuses have always worked with. The more dangerous and extreme, the more money you can get from your audience to come and see it… and that just spreads the word further and faster. It’s a vicious circle that can make people a lot of money, used correctly. It’s why people will dust off their wallets to see fire-dancers, high wire performers, and sword swallowers, even today. It’s why there’s still interest in contortionists and Cyr wheel artists. It’s because people want to be swept away in a fantasy. We may never really see a knight in shining armor slay a dragon, or a game of Russian roulette. To be honest, I don’t think many people really have a strong desire to see real blood and anguish. But danger? Yes. We want to see danger and unthinkable stunts. So we go and watch someone swing three-hundred pound weights around, or stare up as people run the wheel of death. No harnesses, just the open air and gravity. Is the danger sometimes falsified? Of course. Fake falls are fantastic for increasing audience tension. As soon as someone slips, everyone’s hearts throb and hum with nervousness. Playing a little pretend never hurt anyone. war in human history and the end of civilization… unless Zirkua Fantastic can find a way to stop him. As the caravan rambled down the interstate, Tobias rolled onto his side. The prop wagon wasn’t the most comfortable. He’d have to opt out of practice to sleep once they got the tent up. No hope for that here. He tossed aside the air silk he’d been using as a blanket and sat up, looking around, listening to the truck’s tires thud across potholes and cracked pavement. He checked the straps holding the crates, tightened one that had loosened on the drive. “Crap.” If one came loose, others could, too. He pushed himself off his stack of crates and toppled when they hit a particularly nasty bump. “When was the last time they fixed up this road?” He dragged himself up and stumbled toward the rear door of the truck, cranking straps tighter as he went. Once he got used to the movement, he sped up, tightening down all the cargo in fifteen or twenty minutes. Only the first strap had come loose. He sat back on his crates and wrapped himself in the air silk. Sleeping or not, he needed a barrier against the cold and, though he would never admit it, it left him feeling safer, more protected against whatever probably wasn’t in the truck with him. He scanned the boxes a final time, just in case he had missed something. You can buy Voss’s book using this link. Enjoy! This entry was posted in Uncategorized and tagged circus, YA fantasy. Bookmark the permalink.